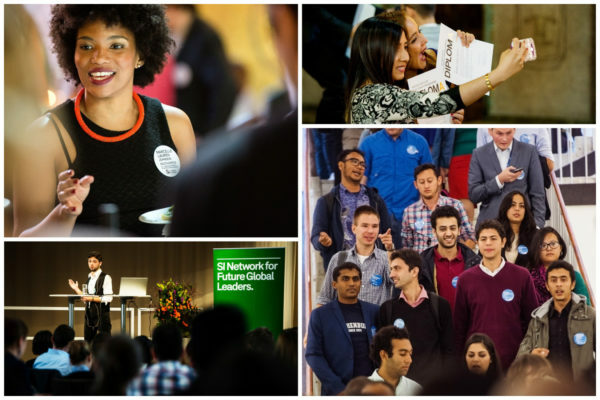 Swedish Institute (SI) scholarship holders are included in the SI Network for Future Global Leaders (NFGL) – a network that aims to build a long lasting relationship between Sweden and our scholarship holders. The network provides the possibility to participate in events, workshops, seminars and visits to companies around Sweden and aims to provide the scholarship holders with improved goodwill and knowledge about Sweden. Each year, in early autumn, SI arranges a kick-off event for all new scholarship holders. The purpose of the event is to introduces the scholarship holders to the network and to inspire the new scholarship holders to make the most of their time in Sweden. For scholarship holders nearing the end of their studies in Sweden, SI arranges a diploma ceremony in late spring. The diploma ceremony marks the beginning of their lifelong membership in the SI Alumni Network. Apart from this, SI arranges one-two events each month for our scholarship holders. Examples of events that have been offered to our scholarship holders are workshops and seminars organized together with Swedish companies/NGOs, as well as study visits to for example the Swedish Parliament and science parks around Sweden. Several of our events are for both current scholarship holders and our alumni, providing network opportunities between the networks. We can also offer tickets to other events not organized by SI, such as the Human Rights Days and World Water Week. Do you want to cooperate with the Swedish Institute and offer activities to our scholarship holders? Please contact us! Who is included in the network? Since January 2015, SI supports NFGL local networks at Swedish universities. The purpose of the NFGL local networks is to give SI scholarship holders the opportunity to arrange events and build strong networks with each other and with different parts of the Swedish society. The goal is to strengthen leadership skills, increase the ability to run projects, develop active participation and strengthen networks between scholarship holders.